Deer fly. Close-up of a deer fly (Lipoptena cervi), or deer ked, on human skin. 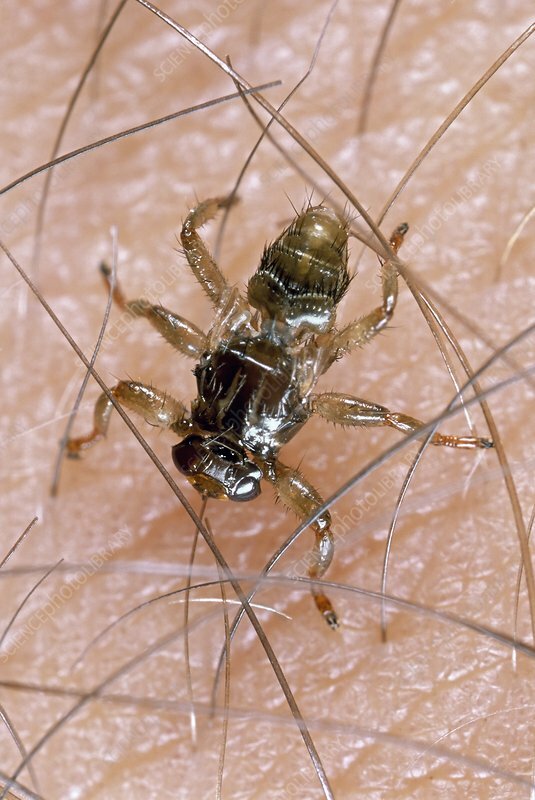 Deer flies (family Hippoboscidae) are biting flies that are parasites of elk, deer and other bovine animals. Both males and females consume blood from their hosts. Photographed in Poland.